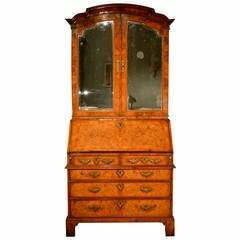 Here we have a very fine Antique Queen Anne Double Dome Bureau Bookcase in Burr walnut and dated by our experts to have been made around 1720. 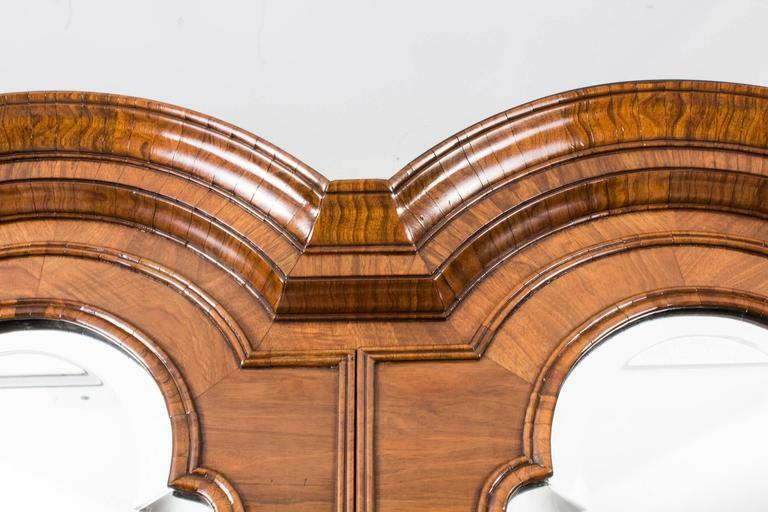 Although Queen Anne actually reigned from 1702 until her death in 1714, furniture made after that period is often described as Queen Anne if it is made in the style which became known by that name - this is such a piece and very typical it is too. 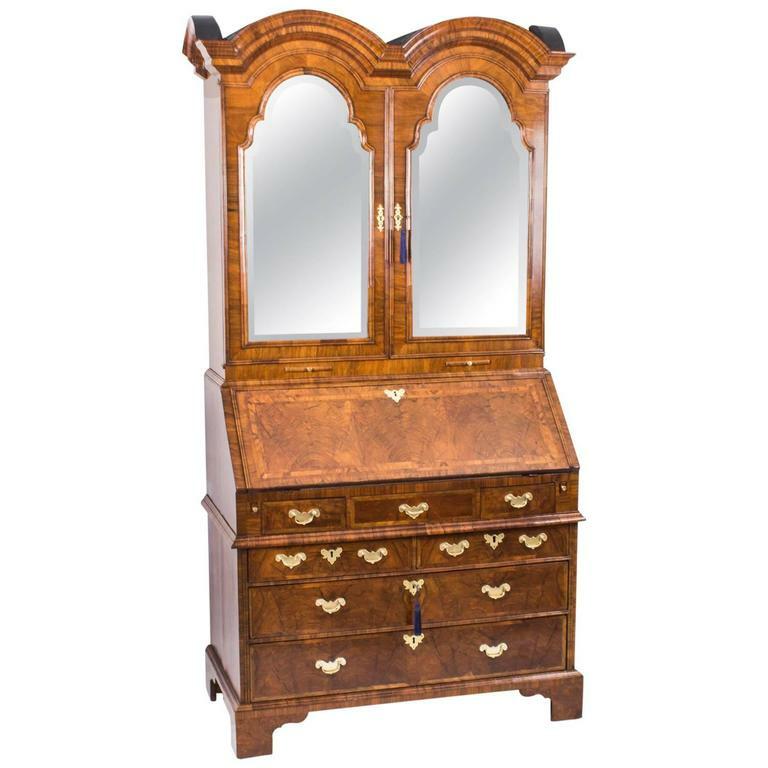 The top section of this antique bureau is surmounted by a lovely double dome and has the additional feature of a further dome situated on each of the side returns. 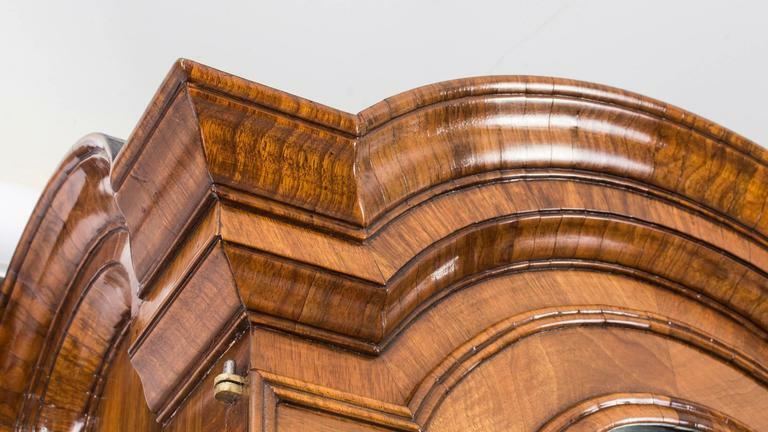 Beneath each of these attractive and impressive domes there are doors which are fitted with bevelled mirror plates, probably not of the period, that open in order to give access to a spacious interior fitted with adjustable shelves. There is another nice touch - below each of the doors there is a useful candle slide. The lower section has a useful and very attractive fall. Inside the fall there is a gold tooled leather writing surface in green which has been inset. 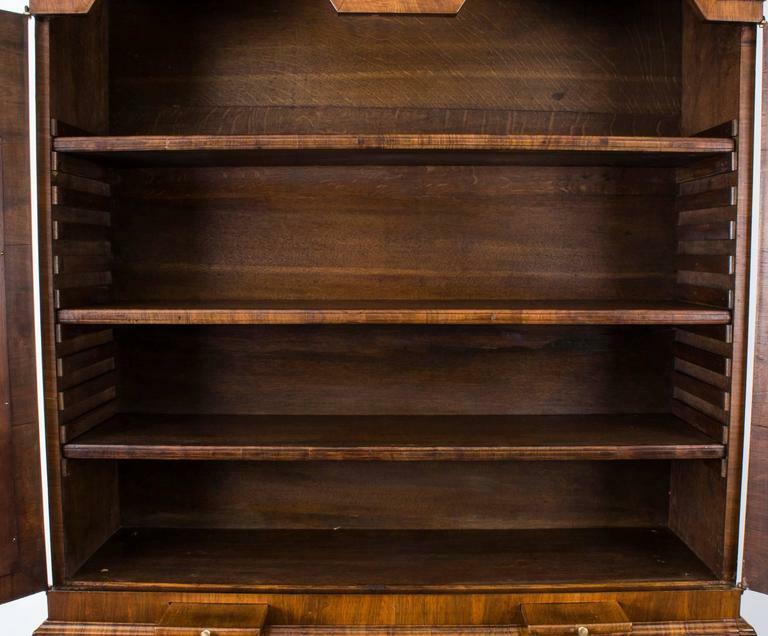 When opened the fall reveals its inset leather writing surface There is also a hidden well together with a bank of drawers with concave fronts and a number of useful pigeon holes. 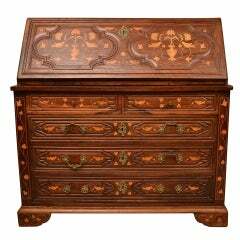 Situated below the fall there are two short drawers which are located to either side of a dummy drawer. 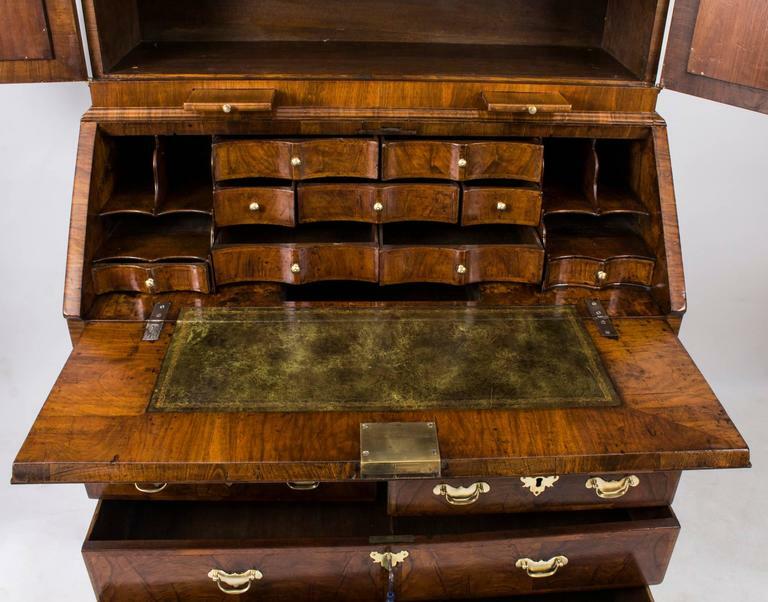 Below these there are two half-width drawers and these are situated above a further two long drawers, all of which are banded with a herringbone inlay. 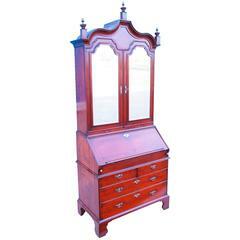 As you would expect this bureau offers a wealth of storage - drawers, pigeon holes and shelves. 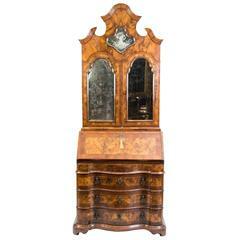 Down below, this substantial bureau bookcase is mounted on later, very substantial, bracket style feet. 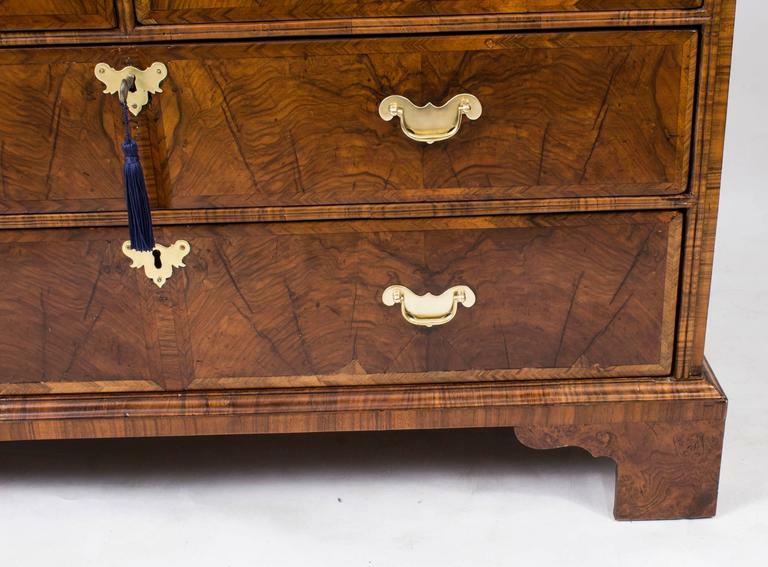 All of the drawers in this antique bureau are oak lined and feature hand-cut dovetails. 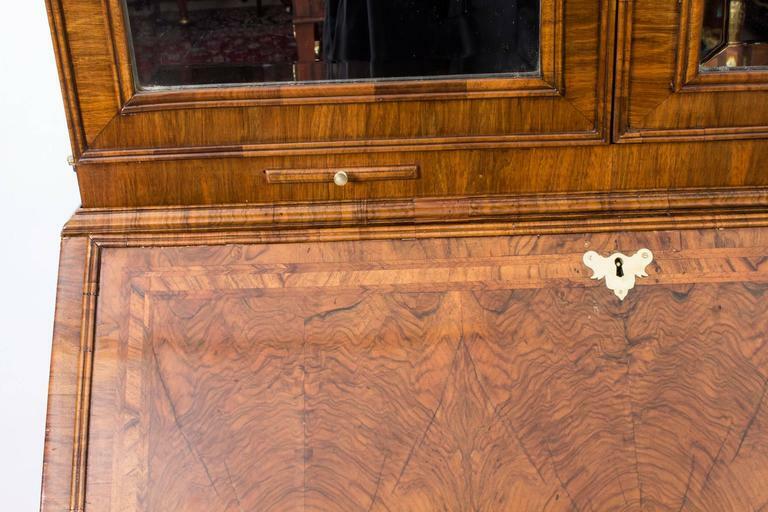 The piece is fitted with brass handles and decorative escutcheons which are typical of the period. The bureau is supplied with working locks and keys. 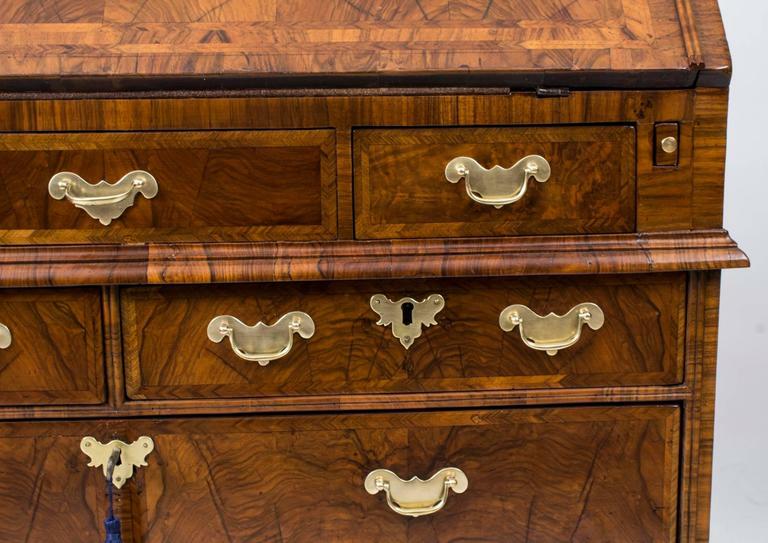 Condition This lovely antique bureau has been fully and expertly restored by our own craftsmen in our own workshops and we are proud to offer it for sale in excellent condition. 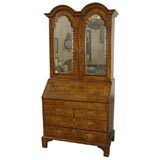 Ordering and Shipping We can pack and ship this piece to virtually any worldwide destination but please contact us for a shipping quote before placing an order. Our UK mainland customers can benefit from free shipping. 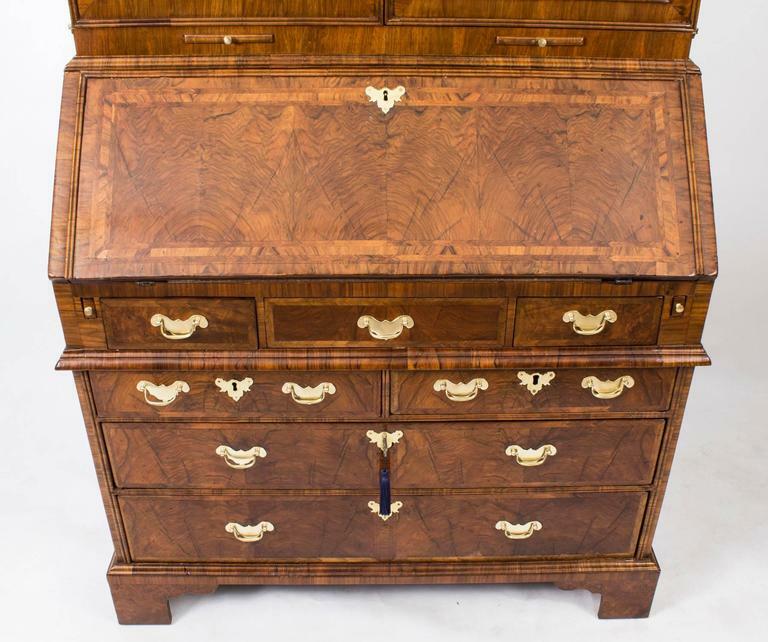 Viewing and Further Information This bureau is available for viewing at our large north London showroom and warehouse where you can see our full range of desks, chairs, bureau and writing tables. If you cannot make the trip please feel free to call us quoting the item reference number which is 07326. 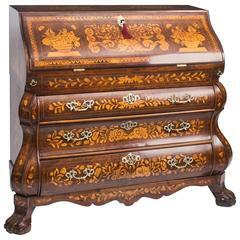 Our experts will be pleased to tell you everything you need to know about this lovely bureau. 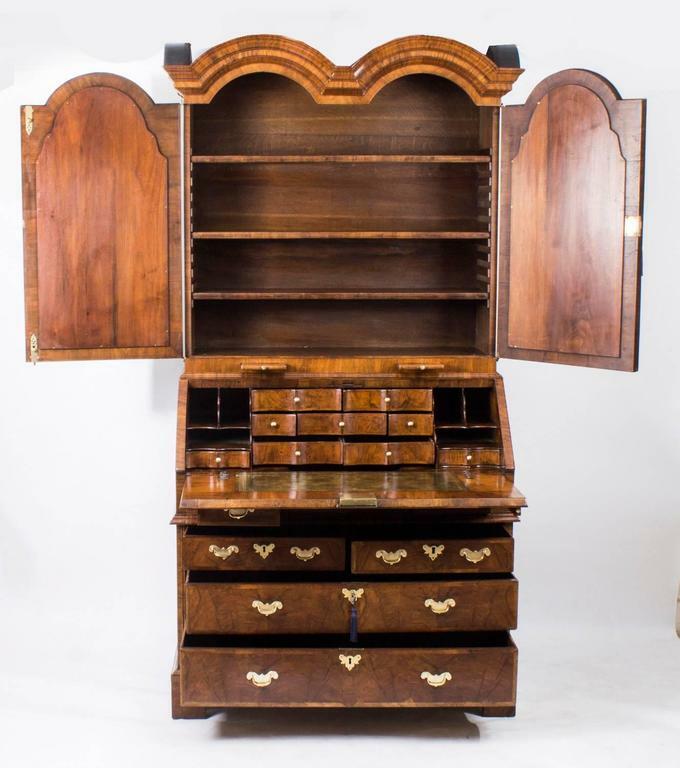 A burr walnut queen anne style double-dome bureau bookcase with full interior standing on cabriole legs and ball and claw feet. circa 1930.